70 year old male, struck by his garage door spring, presented in a rural ER. 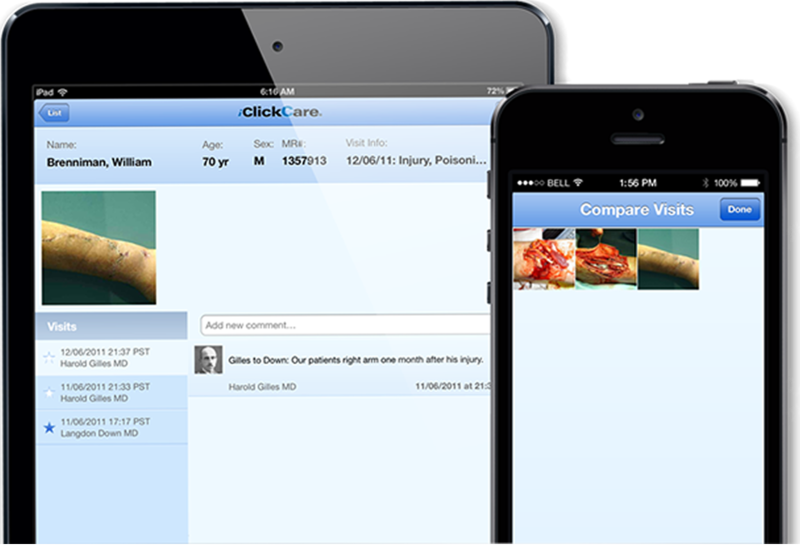 The Physicians Assistant used iClickCare, to arrange transport to a hospital 1.3 hours away, alerting the ER and OR. The arm was repaired, inter-operative pictures were sent to the hand therapist, and follow-up photos to the PA. The patient spent 17 minutes in the ER, and was discharged the same day.